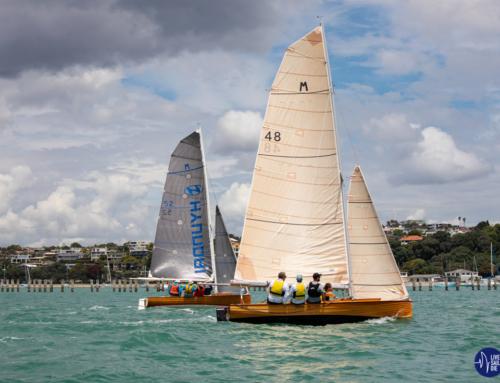 Sunday saw Part 1 of the Myth McCurdie, 2 Harbour courses run by the RNZYS. 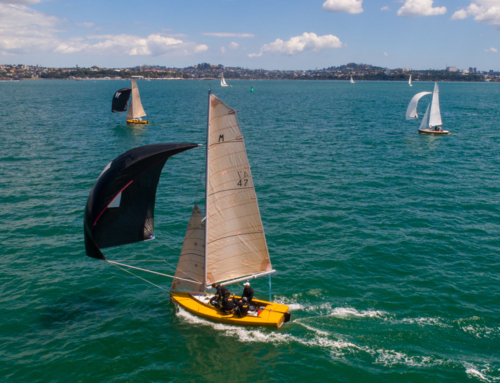 With a shifty WSW breeze of 10 to 15 knots, course 1 was set with a start from Orakei. With 5 boats on the line, well they were near the line when the gun went just all a little late! Mach One played the shifts well to lead at Resolution closely followed by Marksman. All the boats were a little hesitant to hoist until it was apparent that Torpedo would be an easy lay. Mach One and Menace sniggled past the lee of North Head to lead at the next mark, with Marksman having a few crew issues in third. The lay through to Reso was only made interesting with the container ship that was clearly rooting for Mach One as they sounded their horn as they slid across their bow. Menace and Marksman took the ship’s stern clearly demonstrating the lead Mach One had. With one final run to Orakei Mach One took the gun, followed by Menace, Marksman, Margaret and Motivator. Race 2 was held in similar conditions but with Course 5 being set. 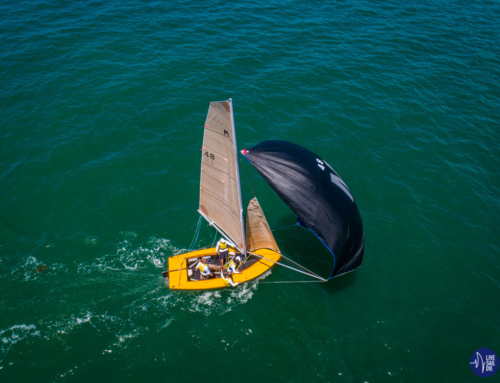 This time the boats made up for their slow start in Race 1 with them really pushing their luck with an incoming tide. Motivator pushed a little too hard much to the relief of Mach One who was nervously waiting to see the flags come down to confirm they weren’t over. Mach One yet again stretched her legs downwind followed by Marksman. With a beat to Reso, Margaret, Menace and Marksman had a good battle between them with Marksman leading the 3 around the mark only to hand 2nd over to Menace following a shocking spinnaker hoist. The race was again won by Mach One, with the minor placing the same as Race 1.